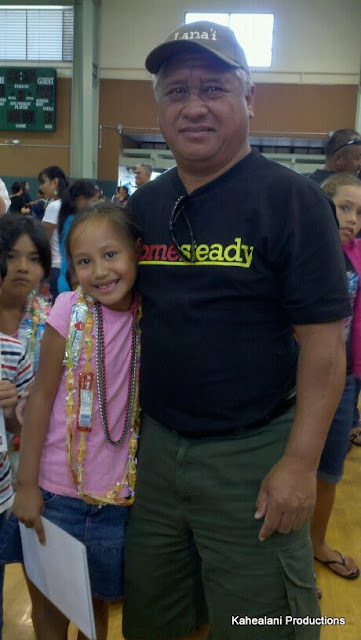 WAIPA IN REAL LIFE: KAHEALANI RECEIVED 4 AWARDS AT HER SCHOOL - KEAUKAHA ELEMENTARY SCHOOL!!! 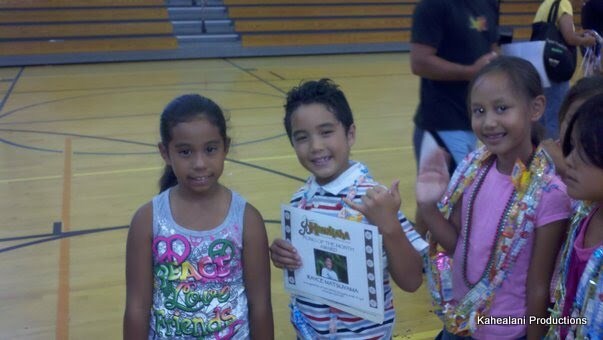 KAHEALANI RECEIVED 4 AWARDS AT HER SCHOOL - KEAUKAHA ELEMENTARY SCHOOL!!! 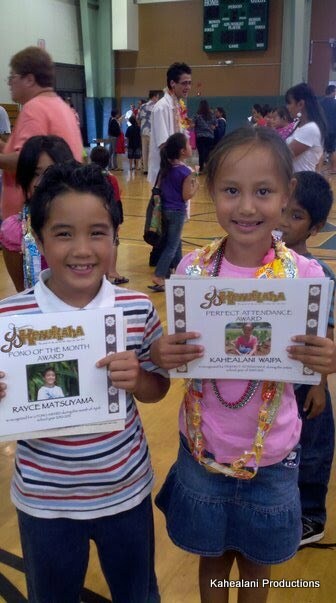 KAHEALANI RECEIVED 4 DIFFERENT AWARDS AT HER SCHOOL IN KEAUKAHA, HILO, HAWAI'I. SHIRLEY AND I ARE VERY PROUD OF HER AND COULD NOT ASK FOR ANYTHING MORE. WE ALWAYS STRIVE FOR THE BEST IN HER AND ALWAYS KNEW DEEP IN OUT HEARTS THAT SHE WOULD BLOSSOM AND BECOME WHATEVER SHE DREAMS OF BECOMING. AND NO MATTER WHAT, WE WILL ALWAYS SUPPORT HER DREAMS AND DECISIONS AS SHE GROWS. "WE LOVE AND MISS YOU VERY MUCH!!!" YOU HAVE MADE US PROUD!!! "PULAMA I NA 'OPIO O HAWAI'I"
Kahea is amazing! She is an achiever like her daddy. Doug says he thinks you're going somewhere because you're doing a count down on your blog. Where are you going? I'm in Valdez for the weekend. Shoot me an email to let me know when I can call you next week during the week. Weekends I'm in Valdez and the man keeps me busy with his multitude of projects. Oh, mom is going RVing with her 84 and 80 year old friends in Seward for the ENTIRE weekend. Can you imagine this?! The 84 yr old is a Hawaiian - Ewalani - a former professional hula dancer. She is so fit and spry! Keep in touch. Mom had her cell phone if you want to call her.